A few years back, we have seen tons of phone brand names emerging from nowhere with features that once were fine to us but we, as a human, wanted more. 1982 – First mobile phone is introduced by a company in Finland. 1983 – First 1G network was introduced in the US using the first handheld mobile phone. 1995 – First commercial usage of text messaging was implemented. Year 2000 – Came smartphone that offers more advanced computing ability and topnotch connectivity, there’s nothing more we can ask for. We expressed out our heartfelt welcome, embraced and patronized it in its every single strand. But every now and then, people tend to ask for more as our daily task requires faster response. Personally, I prefer a ‘smarter’ phone that just offers some basic features such as text messaging, social media app integration, email client, and of course, a phone wouldn’t be called as a phone when one cannot make a ‘phone call’ using it. These are the basic tasks a smartphone possesses nowadays and for a while, these are the ones that really matters most to me. Lately, I was thinking if its possible to double up smartphone‘s ‘everything’ starting from its processing power. Question arises if we can now toss the term ‘smartphone’ and dismantle its core and think out of the box. I was thinking if smartphone’s capabilities can be outrun by a much smarter device, a much more advanced smart phone, perhaps a phone that is genius. And LG mobile gave an easy ‘yes’ answer to me by introducing the world’s first dual-core Android ‘geniusphone‘, LG Optimus 2x, and the LG Optimus Black. I still haven’t personally seen both of these beasts but its key features promises a lot of good things that I am personally excited about. The LG Optimus 2X sports a high-tech dual-core processor powered by the NVIDIA Tegra 2 mobile dual-core CPU which offers a huge performance improvements over the recent generations of mobile smartphones. Talking about firsts, the NVIDIA Tegra 2 is the world’s first mobile super chip which features a Dual-core ARM Cortex-A9 CPU. Now, this is most useful for me as it offers faster mobile web browsing. I remember a lot of instances when I am out from home and I needed to search for something on the internet only to find myself wasting my time watching the little hourglass while loading a webpage on my so called ‘smartphone‘ display. This makes sense though as single-core smartphones or weaker powered smartphones aren’t capable, and won’t ever be capable, of fast internet browsing like the LG Optimus 2X does whichever internet plan you are subscribed to. Mobile gaming can also be a walk in the park for the LG Optimus 2X as the Tegra 2‘s Ultra-low power GeForce GPU is specifically made for low-powered applications. I can now play the once lagging games on my phone. The LG Optimus Black on the other hand features a minimalist design with its extreme light weight (109 grams) and thin (9.2mm) body. This is really perfect for people like me who prefers a stealthy gadget that fits right into my pocket without the bulky feel. One notable feature of this LG Optimus Black is its NOVA Display that features an In-Plane Switching (IPS) display that aligns the liquid crystal cells in a horizontal direction making it more visible in a much lighted environment such as outdoors. This feature is also inherited by its sibling, the LG Optimus 2x. Smartphone displays have been an issue for me ever since. That is probably because past phone displays lack such technology or this part has always been ignored by most of phone manufacturers. Whichever the case, I’ve never really used a mobile phone that is well-lit outdoors. The NOVA display however is capable of generating up to 700 nits of brightness and is able to produce better color reproduction even on a bright sunny environment. This can be very useful to people like me who spends most of their time outdoors and multitasking with their mobile phones. Speaking of multitasking, having a dual-core powered smartphone such as the LG Optimus 2X means indulging on its multitasking capabilities. 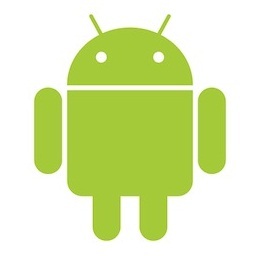 Android devices are known for its tons of applications through its Android Market. Installed android apps into an Android device runs on the background after you first open it so that there would be less app loading time the next time you initiate to open it. This is where most of the low-powered smartphones flaws, leaving the device to often suffer on processing a task that it isn’t capable of. This is where also I’m having problems with, I am a type of person who gets easily irritated if a certain gadget isn’t working as promised specially if I paid good money for it. Knowing that the LG Optimus 2X is capable of performing well makes me more lovin’ it and appreciate its true value. Here is a benchmark made to ‘burn-test’ the LG Optimus 2X to its fullest and compare processing power to its competing devices courtesy of gsmarena. Take note that the test unit they used for benchmarking is still running the Android 2.2 Froyo OS which isn’t still capable of maximizing dual-core powered device. This presentation only shows how powerful LG Optimus 2x is and how it can outperform current smartphone systems single-handedly. Because the LG Optimus 2x is powered by NVIDIA Tegra 2 dual-core processor, I can now possibly watch 1080p HD movies stored on my mobile device on HDTVs. Take a look at the video below and grace yourself with one of this genius phone‘s feature, HDMI mirroring, courtesy of engadget. 1080p full HD all the way! What’s so very impressive about this is that it consumes less power considering that you are running a full HD video on an HDTV, thanks once again to the Dual-core ARM Cortex-A9 CPU in Optimus 2x’ Tegra 2 processor. Added 8GB internal phone storage isn’t bad at all as I can already store up to 4000 mp3 songs or 5700 jpg images or over 5 HD movies on an h.264 compressed 1080p file types, thing that brings out the multimedia-addict in me. The 8 Megapixel camera of the LG Optimus 2x is capable of shooting great pictures much like the 5 Megapixel camera of the Optimus Black, I can now say goodbye to point and shoot digital cameras! The LG Optimus 2x will be shipped with Android 2.2 Froyo out of the box but it is definitely upgradable to Android 2.3 Gingerbread OS. This is where this phone outshines most smartphones in the market. The availability of an upgrade on this device makes it possible to ensure future app installations. LG electronics really awed me with these revelations. This clearly shows that a smartphone can be much smarter, can be genius in every aspects. These genius smartphones can be completely compared to a swiss army knife for its versatility and mobility. Owning these gadgets can further push me and the humankind’s capabilities towards the fast paced technology. Indeed, ‘geniusphones‘ have arrived! As per my openion both the LG smartphones looking very promising and compatible android smartphones,i will definately share this information on http://www.buyrealsocialfollowers.com as well as on the buy real active country targeted soundcloud followers and cant wait to buy one.